The TP-LINK TL-PB2600 is an compact 2600 mAh power bank with good quality that comes equipped with 6 in 1 complete protection against damage caused by: short circuit, over-voltage, over-current, over-charge, over-discharge, and over-heating. 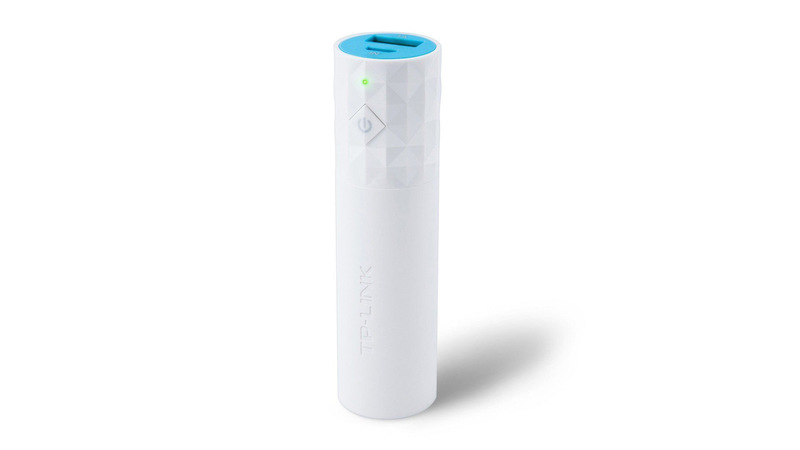 TP-Link TL-PB2600 is equipped with a single USB device charging port for up to 1A 5V output and can be charged with up to 1A power adapter. It is compact and nice looking, though due to the small capacity it can hardly be used for a full charge of a smartphone’s battery, more of an emergency situation saver when your smartphone’s battery is very low and you need to use the device a bit longer. Here is how the discharge curve looks for 0.5A discharge and for 1.0A discharge from the power bank and the capacity you can expect to get out from the 2.6 Ah mobile battery. With 0.5A discharge the usable capacity is 1611 mAh or 8.15 Wh, while with 1.0A discharge you can expect to get just a tiny bit lower 1609 mAh, but just 7.43 Wh. The difference in the usable Wh output compared to almost the same output in Ah is due to the fact that at 1.0 Ampere discharge load the power bank is not doing so well as one would expect from the device’s rating. At 0.5A discharge load the output voltage is at about 5.06V while at the higher 1.0A load it starts at 4.94V and keeps stable at that level up to about 410 mAh point where it starts to drop as you can see from the chart above. In short we would not advice the use of this mobile power bank for more power hungry devices that take 1A as the performance you can expect to get from it is not satisfactory at that power output.